The UAE’s pharmaceutical market presents significant growth opportunities for multinational drugmakers, yet the impact of lower medicine prices will create challenges for innovative companies operating in the Emirates, said a new report. 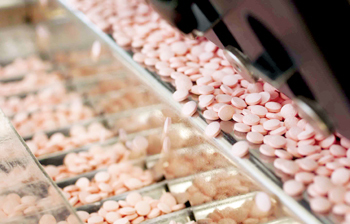 Despite this, the UAE is becoming more accepting of new and innovative medicines, with proposed reforms to the country’s drug regulatory system likely to gain traction over the coming years, thereby upholding its appeal for innovative drug launches, a BMI report said. The impact of lower medicine prices in the UAE will be largely negative for innovative drugmakers operating in the UAE, particularly given the uncertainty surrounding the degree of such drug price reductions. In January, the UAE’s Ministry of Health (MoH) announced the latest round of annual price revisions to 762 innovative and generic drugs in the country. While this will create challenges for innovative firms in the UAE, the country remains one of the more attractive destinations for multinational drugmakers in the region. A look at the UAE’s annual drug price revisions shows that, 8,732 medicine prices have been re-adjusted since 2011, with the majority being for the treatment of chronic diseases. The latest round was officially implemented in September 2017 following negotiations between the MoH, local pharmaceutical companies and multinational firm Sanofi, the report noted. Indeed, pharmaceutical pricing in the UAE will continue to place pressures on innovative drugmakers in particular, emphasising the importance of cooperation between stakeholders to implement an agreeable price. According to MoH officials, ‘the collaborative efforts with Sanofi and local agents will help forge new ties based on trust, communication, transparency, and community support’, as commented by Dr Amin Hussein Al Amiri, the UAE’s assistant undersecretary for public health policy and the vice-chairman of the higher committee for drug pricing and registration. “We note that these changes will create greater clarity over some regulatory processes; however, it will continue to be viewed adversely by innovative drugmakers in an already-challenging pricing environment,” BMI said in its report. While the UAE renders a tough stance on medicine pricing in the Middle East, it is unlikely to introduce similarly aggressive pricing regimes as seen in some developed markets globally, including Germany, Japan and Turkey (to name a few). This restraint on the issue of pricing aims to achieve the UAE’s desire to attract greater foreign investment as part of its drive for innovation and technology which international drugmakers may bring. Highlighting this, Dr Amiri also noted that ‘our commitment to encouraging international pharmaceutical companies to locally manufacture will not only give patients an access to affordable but innovative medicines, but also benefit local factories through technology transfer’. Reflecting the MoH’s efforts to maintain an attractive market for innovative drugmakers, reforms to the UAE’s drug regulatory system have gained traction over 2017, perpetuating the existing challenges facing international drugmakers seeking to launch innovative medicines in the Emirates. This includes the MoH signing a Memorandum of Understanding (MoU) with the Jafza/Jebel Ali Free Zone for the development of the pharmaceutical and healthcare sector, with a particular focus on reducing regulatory barriers. As part of the agreement, the UAE is aiming to attract 75 innovative drugmakers to the economic trading zone by 2021, with the number of companies producing patented drugs locally expected to double. Also in October 2017, the UAE signed 12 MoU’s across 11 industry sectors, including with multinational drugmakers Pfizer, for the creation of a ‘UAE Centennial 2071 Area’ in Dubai. In accordance with the MoU with Pfizer, a number of key challenges in the UAE have been set to improve the population’s access to high-quality medicines and local pharmaceutical production. More recently, Shire declared Dubai as its new regional hub for its Eurasia, Middle East and Africa (EAMEA) operations in November 2017, tasked with overseeing a network of ten regional offices and activity across thirty markets. These recent developments highlight the UAE government’s push to strengthen partnerships with various research-based foreign drugmakers in order to establish Dubai as its hub for pharmaceutical investment.